THE SKYSCRAPER EMPIRE (SSE) IS ALSO KNOWN AS THE FUTURIST CITY. IT IS LOCATED IN THE HEART OF NEW YORK CITY 2050 FOUNDED BY JOB E. SKYSCRAPER. IT IS THE WORLDS MOST LARGEST AND PROSPEROUS COMPANY SPECIALIZED IN CREATING AND HOUSING ADVANCED SUPER TECHNOLOGY (AST). THE VELOCITY SPACE PORTS, THE WORLDS FIRST SPACE STATION AIRPORTS WITH 4 BUILT IN SHOPPING CENTERS LOCATED ON THE FOUR CORNERS OF THE EARTH THAT ARE HELD IN PLACE BY A MAGNETIC ECO-FRIENDLY BEAM BECOMING THE EARTHS ARTIFICIAL RING. THE PORTS USE THE EARTHS ROTATIONAL SYSTEM TO TRAVEL TO DESTINATIONS AT QUICK SPEEDS. THE P53, (SERIES) ELEMENTAL STEALTH TECHNOLOGY (EST), IN WHICH THE GOVERNMENT PURCHASED FROM SSE USING IT FOR IT'S MILITARY BRANCHES. THE TECHNOLOGY ENABLES ITS USERS TO CAMOUFLAGE UNDER ANY OF THE ELEMENTS SUCH AS EARTH, WATER, FIRE, WIND, AND WATER AS WELL AS MATERIAL MATTER. THE VIRTUAL MAP PROJECTION TECHNOLOGY (VMP), IS AN ADVANCED SYSTEM INTERFACE ABLE TO PROJECT A FOUR DIMENSIONAL WORLD GLOBE AND MAPS THAT HAS ACCURATE AND PROPORTIONATE LONGITUDE AND LATITUDE CALCULATIONS WITH A MAGNIFICATION FEATURE ABLE TO ZERO DOWN TO THE VERY SPOT ON A STREET CORNER; DOWN TO THE VERY DIMENSIONS AND BLUEPRINTS OF A BUILDING WITH LIVE FEED AND MASSIVE DATA ACHIEVES. THIS INCLUDES AN ACCURATE COUNT OF PEOPLE WITH DETAILED IDENTIFICATIONS IN AN DESIGNATED AREA AT THE SPECIFIC MILLISECOND. THE VMP IS POWERED BY A SUPERIOR SATELLITE CALLED OMEGA. BECAUSE THIS TECH IS SO POWERFUL, IT BECAME REALLY DANGEROUS EARNING THE NICKNAME 'όλα τα βλέπουν τα μάτια' MEANING 'THE ALL SEEING EYE' IN GREEK. BEFORE ANYONE OR A HIGHER AUTHORITY COULD GET LIGHT OF THIS TECHNOLOGY, IT IS KEPT IN THE SECRET UNDERGROUND VAULTS OF SSE. 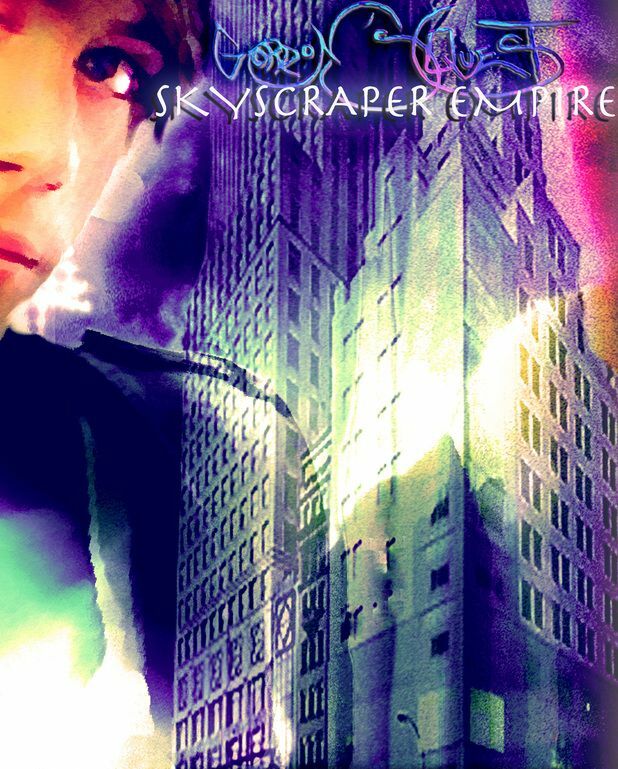 JOB E. SKYSCRAPER AND HIS SKYSCRAPER EMPIRE ARE MOST RESPECTED FOR THEIR POSITIVE IMPACT IN THE WORLD. WITH THE LARGEST MULTI CHARITY FOUNDATIONS DEDICATED TO AND FOR THE PEOPLE OF THE WORLD, JOB WAS REVERED AS THE MAN WITH THE KINDEST HEART WHO CONTINUES GIVING AND INVESTING TRILLIONS OF DOLLARS OVER THE YEARS HELPING THOSE IN NEED. IT IS HOWEVER, AFTER JOB WAS FOUND MYSTERIOUSLY DEAD IN HIS HOME ESTATE THAT HIS ONLY DAUGHTER JOYCE, HEIRESS TO THE SKYSCRAPER EMPIRE WOULD CONTINUE HIS LEGACY INHERITING THE GREAT WEALTH AND POWER OF HER FATHER AND THE SKYSCRAPER EMPIRE. MATERIA OIL WAS ONCE KNOWN AS SKYLINE OIL. IT WAS ORIGINALLY PART OF SSE BUT WAS A HOSTEL TAKEOVER BY JOB'S BEST FRIEND AND BUSINESS PARTNER ERSKIN WELLS. ONCE ERSKIN TOOK CONTROL OF SKYLINE OIL, HE TOOK A LARGE PERCENTAGE OF THE WORLDS OIL RESERVES BRINGING ABOUT GREAT PRICE INCREASES. CONSUMERS ON A GLOBAL SCALE WHERE IMPACTED. JOB SOON DISCOVERS ERSKIN HAD GIVEN HIS ALLEGIANCE TO THE BEAST AS A HIGH RANKING MEMBER IN NOIR DIABLO. THE PROOF WAS NOT ONLY IN THE ACT OF BACKSTABBING BUT THE RING WITH THE NOIR DIABLO EMBLEM THAT ERSKIN SO PROUDLY WEARS ALONG WITH HIS INSTANT SUCCESS. DEEPLY DISCOURAGED, JOB DISAPPEARS FROM THE PUBLIC EYE FOR WHILE. IT WAS DURING HIS PRIVATE TRIP TO ETHIOPIA ON THE WAY TO INVESTIGATE A HOLY RELIC 'THE SWORD OF SOLOMON' THAT HE WOULD MAKE A PIT STOP TO UGANDA. IN UGANDA JOB CHECKS UP ON ONE OF THE WATER WELLS HE HAD BUILT FOR THE NATIVE PEOPLE. UPON ARRIVAL AT DUSK, HE FINDS THE PRIMITIVE VILLAGE LIT BY ELECTRICITY. THE HANDY WORK WAS BY A NATIVE IN HIS LATE 20'S WHO JUST GRADUATED FROM P&D PHYSICS AND DYNAMICS UNIVERSITY OF SCIENCE and ENGINEERING LOCATED IN PENNSYLVANIA, AN ELITE IVY LEAGUE SCHOOL. THE NATIVE CALLED ODDUSS RULEIUM WAS DOING MISSIONARY WORK IN HIS OWN VILLAGE EXPERIMENTING AND CREATING HIS VISION OF A WORLD THAT WOULD SOMEDAY RUN OFF SOLAR AND WATER POWERED GRIDS. HE ALSO CREATED A MINI PROBE RACE-CAR FOR THE VILLAGE KIDS THAT RAN ON SOLAR POWERED ENERGY RACING UP TO 92 MPH. JOB WAS NOT ONLY IMPRESSED BUT IS ALSO OVERWHELMED BY THIS YOUNG BRILLIANT MIND. ODDUSS IMMEDIATELY BECOMES AN ELITE SCIENTIST IN SSE'S INDUSTRIAL BRANCH CREATING A NEW MARKET IN LAUNCHING SKYLINE RESERVES WHICH REPLACES THE HOLE IN THE EMPIRE WHERE SKYLINE OIL USED TO BE. ODDUSS'S VISION BEGINS TO FURTHER EVOLVE AFTER BRINGING HIS LITTLE PROBE RACE-CAR TO REAL SIZE, CREATING THE FIRST SOLAR POWERED EXOTIC LUXURY SPORTS CAR KNOWN AS 'MIDNIGHT' ALONG SIDE THE EXOTIC SPORTS BIKE 'MOON BEAM' INFUSED WITH SSE'S ADVANCED SUPER TECHNOLOGY. LATER MIDNIGHT AND MOON BEAM ARE GIFTED TO GORDON-RIVIAIRRA SKYSCRAPER BECOMING HIS SIGNATURE CAR AND BIKE.